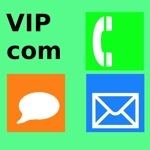 Have direct access to your VIPs. press of a button away. After the first start the Setup screen will be displayed immediately. 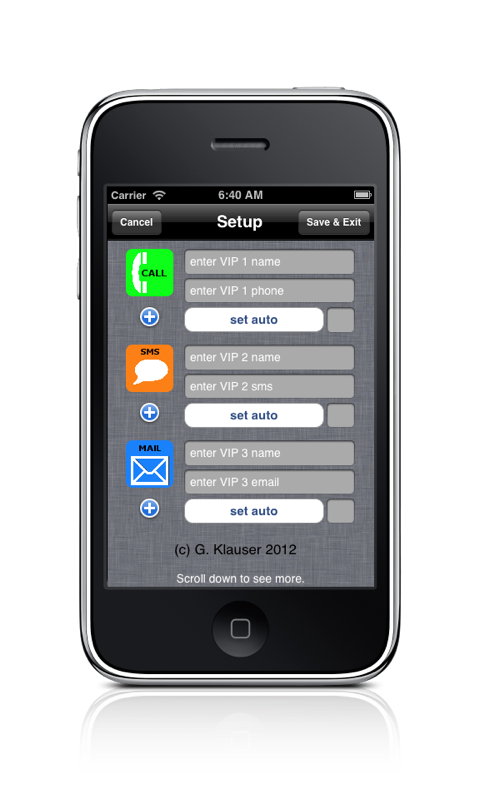 Enter your VIP contact data into the reserved contact fields. 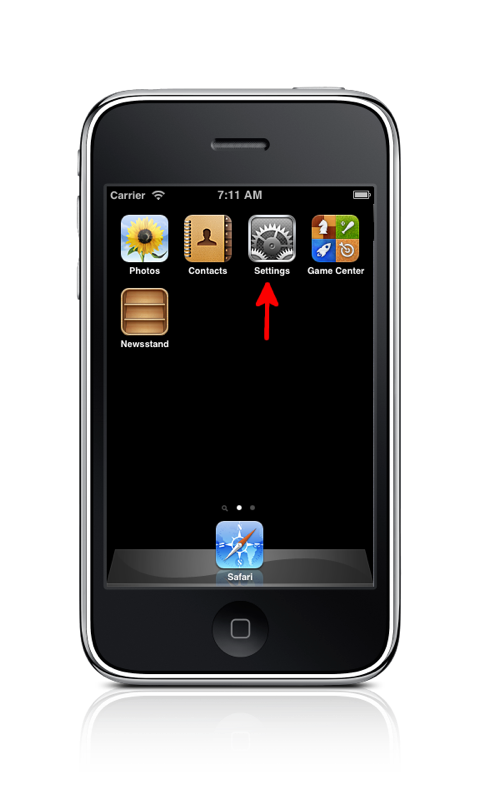 the application will immediately return to the Setup screen. The entry can be done by clicking the respective field. you can scroll the screen as usual. 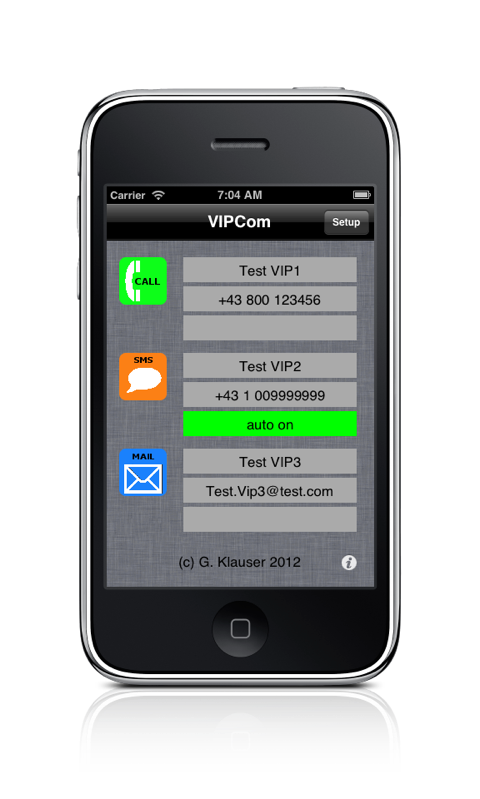 Alternatively you can enter the data by selecting them from your contacts. select a contact and the respective entry (number or email). The name and the selected contact information will be copied into your settings. After you have completed the setup Save the settings end exit setup (by saving). Afterwards the action screen will be displayed. auto on will be displayed below the action data. action will be executed without any further notification(confirmation. will be displayed at every start of the application. selected action will be executed with the defined contact data. The info Screen displays a short instruction. open the App’s support page in your Browser. This only works if you have internet access. cost might apply for downloading data form the internet. this can be done straight in the setup screen.. Setup screen, as the program will be classed after auto executing the action. 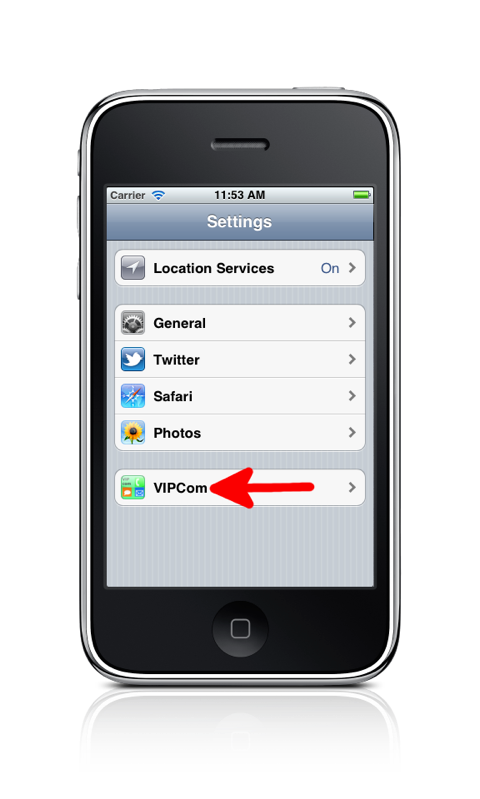 In the device settings select the settings for VIPcom. Now you can set the Reset Switch to on. At the next start of the App it will start up with an empty setup screen. 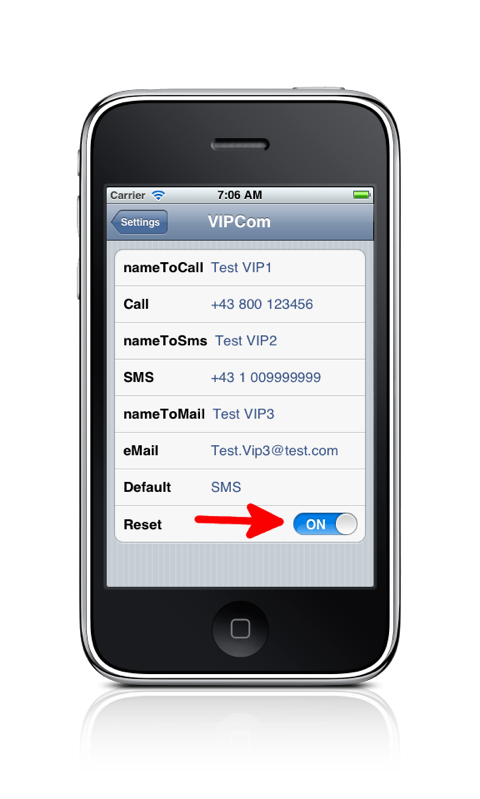 just erase the text in the Default field (SMS in the above example). All other settings will remain unchanged.